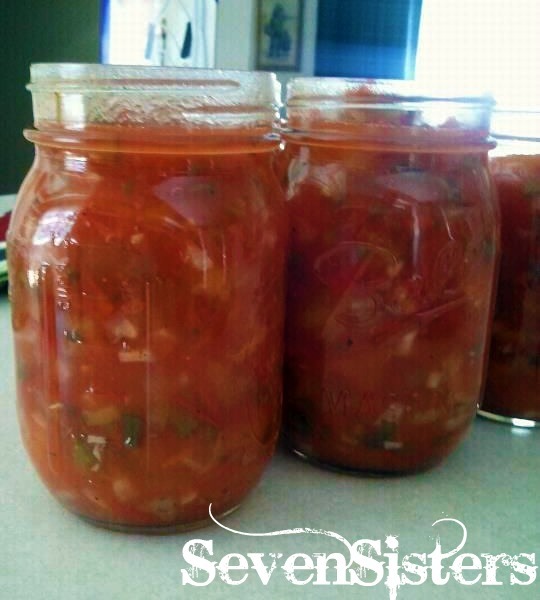 Homemade Salsa is one of my favorite things during the summer time. It just tastes so fresh and delicious! This year I planted 4 Roma tomato plants and one beefsteak tomato plants in my garden because I wanted to can as much tomato goodness as I could. I have already canned whole Roma tomatoes, roasted tomato sauce and now some chunky salsa. 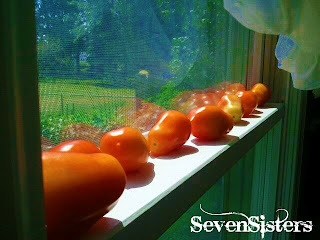 I could not believe how many tomatoes I got from just those 5 plants and there are still tons and tons of tomatoes on my plants!!! Someone should have told me to open up a farm stand at the end of my driveway because I can't keep up! I do love it though! 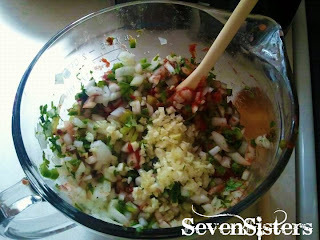 I found my recipe for Chunky Salsa from Better Homes and Gardens. It is delicious and the perfect combinations of freshness and heat. 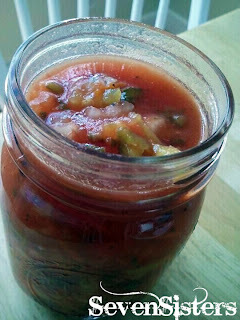 If you wanted you could always add more or less of the poplano chile peppers or jalapeno peppers to adjust the heat. But what the recipe called for I thought was just right. While I am cutting my tomatoes I get all my canning supplies ready. 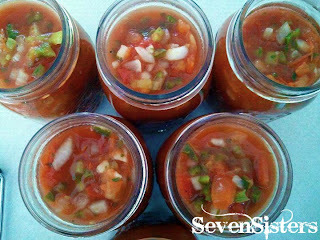 I first get all my jars and lids sterilized so that when it comes time to pour the salsa in they are ready to go. 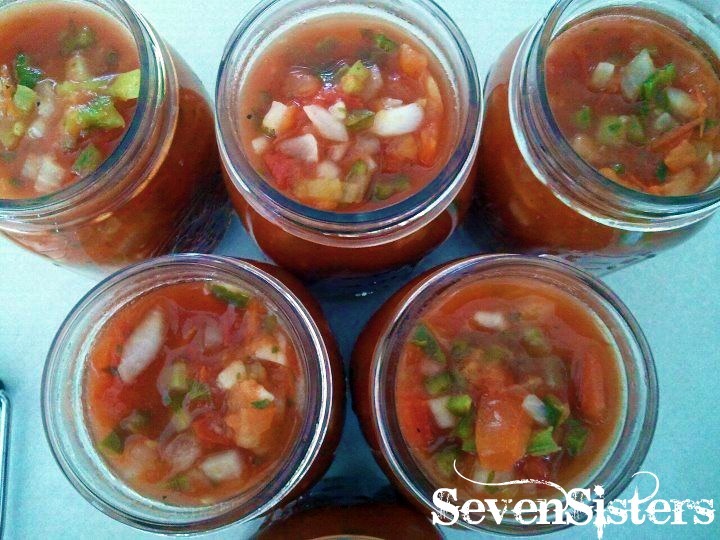 See How to sterilize your jars in one of my previous posts. Seed, core, and coarsely chop tomatoes (you should have about 14 cups). Place tomatoes in a large colander. Let drain for 30 minutes. Place drained tomatoes in an 8-quart stainless-steel, enamel, or nonstick heavy kettle. Bring to boiling; reduce heat. 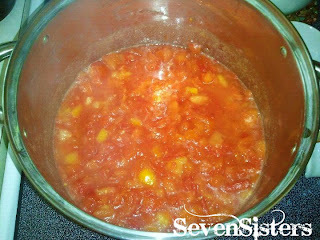 Simmer, uncovered, about 1 hour and 15 minutes or until thickened, stirring frequently. and black pepper. Return to boiling; reduce heat. Ladle hot salsa into hot, sterilized pint canning jars, leaving a 1/2 inch head space. Wipe jar rims; adjust lids. Process in a boiling-water canner for 15 minutes (start timing when water returns to boil). Remove jars; Cool overnight. For any jars that do not seal refrigerate and use first. Doesn't this look soo delicious! !